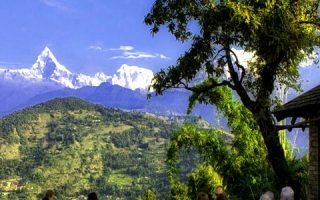 Being, a local travel expert, in Nepal trekking packages we have seen, people tend to divide naturally into a private trekking and the other group trekking. We are not here to say or judge which style of trekking in Nepal is the best, but just give you a few tips about these different styles of trekking. This trekking is for those who do not want to follow the group rules, enjoy the nature, and talk to the guide who will be solely focused towards the trekker. In private trekking, all the service is exclusively dedicated to the trekkers. The trek routes will be designed as per the requirement of the trekker. This type of trek has its own advantage. The trekker will just have to submit their scanned copies of the passport and provide two digital photographs. The local travel agent will manage all the trekking permits, while the trekkers can just relax. The local travel agent will assign guide, transportation to/from trek start point and end points. So private trekking is relaxing. However, there are some cons. That is private trekking is expensive as compared to group trekking. Sometimes there might be a feeling of solitude; however, the local Sherpa guide will entertain you with their great sense of humor. These Sherpa Guides are born and brought up in the mountains, so they know every route and it is very safe to have them with you while you are trekking. The Sherpa guide will walk at your pace and will keep entertaining you and making you laugh. However, never mind the broken English of these guides as most of them have not even have had a basic education. In a private trek the Sherpa guide will brief you, but the daily schedule is dictated by you: you can stay a few extra hours in a fascinating place, conk out early by the riverside, sprint ahead, according to your mood or spend some time in Chautaaras “ Shades” and interact with the local mountain people. This facility will not be available in a group trek, as everyone has to follow the same schedule. Group trekking is slightly tighter than the private one. There will be a group of 8-10 trekkers or more than that. Yes, other things remain the same. The local travel agent will take care of your trekking permits provide you with experienced Sherpa guides. However, in a group trek, there will be less flexibility. Moreover, the time to move from the lodge will be dictated by the company. You cannot relax in a place and spend some time more in one place unless all the people in the group would want to do the same. However, it is rare. In a group, there will be trekkers from different countries. Some may already be expert trekkers who prefer to walk faster and some may be amateurs, so coordination might be a bit problematic. However, the plus point in group trekking is that the price will be less than compared to the private trekking, as other people will join you. If the group is on the same rhythm, then you will have a great time together. It might be an experience of a lifetime. Therefore, which trek to choose private or group will depend upon the trekkers. As the trekkers, if wishes to follow their own schedule and take your own time may choose a private take. However, remember it a bit expensive trek compared to group trek. Those who wish to have a company of people, want to interact with people of a different country, or a different part of own country and have a less budget go for a group trekking. After all, it is trekking in Nepal, one of the best adventure activities in the world. Welcome to Nepal, the country offers you with a variety of Nepal trekking packages.